Successfully Added MANN ZUG 5S Rugged Phone - IP68, Quad Core CPU, 3GB RAM, Dual SIM 4G, 5 Inch IPS Screen, NFC, OTG (Silver) to your Shopping Cart. No matter how demanding life gets, nothing stands between you and your upcoming adventures with the MANN ZUG 5S fully rugged smartphone at your side. Holding an IP68 rating this Android smartphone is fully protected against water and dust, allowing you to carry it around no matter where you’re headed. So pack your bags and head out into the wild. With this Chinese smartphone you will always stay connected to your friends and loved ones no matter where life takes you. Running on an Android operating system this rugged smartphone is guaranteed to deliver a smooth user experience and lets you enjoy the latest features the industry has to offer. NFC allows you to simply share and receive files and even make payments from your smartphone without the need of any cables whereas the phone’s OTG technology further enhances your mobile user experience to the most by allowing you to connect external hardware devices such storage devices. Enjoy all the latest games, movies, Apps and more on a beautiful 5 Inch HD display. Thanks to the phone’s Qualcomm Quad-Core CPU, 3GB of RAM, and Adreno 306 Graphics Processing Unit you will be able to enjoy all your favorite media and mobile entertainment without losing a frame. Featuring 32GB of internal memory and offering the possibility to add an additional 32GB external storage, this 5 inch Android smartphone offers a great platform on which to enjoy days worth of fun and entertainment. 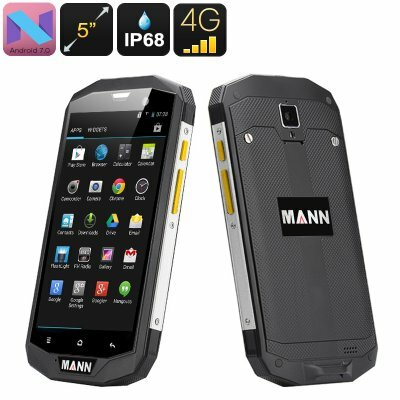 Packing a massive 4050mAh battery the MANN ZUG 5S is a rugged smartphone that offers plenty hours of continuous usage time. Embark upon your next adventure with confidence as with this Android device you won’t have to worry about running out of juice any time soon. Dual-IMEI numbers further enhance your mobile connectivity by allowing you to connect to two providers simultaneously, ensuring that no matter where you’re headed, with the MANN ZUG 5S you will always be within reach for your friends and loved ones. The MANN ZUG 5S comes with a 12 months warranty, brought to you by the leader in Android smartphones as well as wholesale electronic gadgets.. I am recommending this product (PHONE ZUG 5S) to everyone out there, I have use it myself and am still using it. I can boldly tell you, go for this phone.